Wow, another month has flown by! 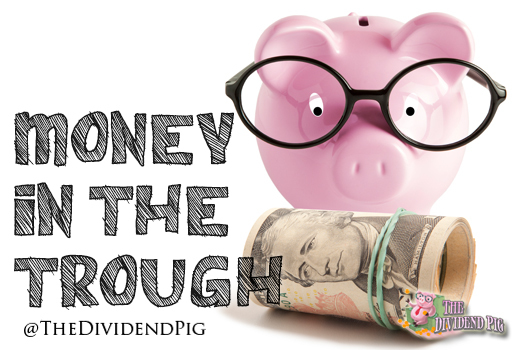 Here are the dividend stocks I’ve purchased so far this month. Hopefully we’ll get some opportunities to add big values like we did in October. Which, by the way, I hope went well for everyone! Sudden paper loses can be staggering, but don’t let it shake your resolve. I suspect your dividend income appeared in your account during the most recent dip, just as it will on the way back up! Here are all the purchases I’ve made this November. All additional purchases made this month will be posted on this page. I try to invest $2,500 – $4,000 every month. So far this month, I’ve put a little over $1,600 to work at an average yield of almost 4.2%. The T, GIS and CVS purchases were bought via DRIP. Hi Dave! I appreciate the kind words! I use IB. Here is a link to my Interactive Brokers review. The trading costs are very reasonable! What do u guys think of M1 finance for dividend investing. Can do fractional shares but allocates the cash dividends to the under performing or all holdings rather than back into the specific stock that issued the dividend. Seems easier than creating individual drip accounts? M1 is good. It really depends on where you are in your investing journey. If you’re just starting out, then they are the way to go (Schwab is great too – but you pay for buys). If you’re later in your dividend investing journey, IB will be a better option as you’ll have more control over your purchases (eg. limit orders instead of market). Regarding fractional shares, I believe you can disable DRIP on M1 pies and can choose and reallocate cash back into individual stocks. Thanks for the comment! Nice buys! The recent stock market drop was a good chance to add quality stocks to your portfolio. AbbVie and CVS are already up about 10 %! Thanks DD! Yeah, the dip was great for adding at better values. I see that you picked up a bunch of ABBV… well done! Thanks for dropping in and commenting! Great job on making these additions. ABBV below $80 looks like a really nice grab. I’m likely to be joining you in that name over the coming week (we’ll see what happens… I’d like to get in below $90). Thanks Ryan! I have owned ABBV for sometime now. They have, what seems to be, a very promising pipeline of later stage drugs. Obviously, we’ll have to wait and see. I was very happy to add a few extra shares at during their most recent decline. I personally don’t think you’d be making a bad decision if you do decide to pick up some ABBV 🙂 Thanks for coming by and commenting! Dankeschön Torsten… that’s the best I can do! I watched your video and looked at the charts. Based on what I could see, we might be thinking about the same thing. It’s a decent value here but we won’t see huge dividend growth from them. Was that your opinion? Nice pick ups TDP. I own a few already and have some others on my watch list. I might look into switching my brokerage as I pay a relatively high fee per trade, which is why you’ll notice I typically only make one purchase a month. Though it does force me to narrow my choices to what I think may be the best at the time – so I guess there is some benefit to it. Thanks D4J! Yes, it’s much easier to make more frequent, smaller buys when they only cost .35 each. IB is a great choice for inexpensive buys if you do decide to make a change. I’m not familiar with SWKS… I’ll have to look into them. Thanks for dropping in!